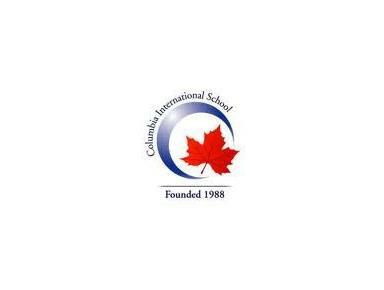 Columbia International School follows the curriculum of the Province of Ontario, Canada, one of the most advanced and respected educational systems in the world. In our totally wireless environment, each student in Grades 7 to 12 has a laptop computer and is encouraged to use the latest technology to enhance learning and personal presentation skills. Our Elementary school program, for students in Grades 1 to 6 focuses on the emotional, social, physical and cognitive development of children in a bilingual setting. Eighty percent of our program is delivered in English while Japanese language and culture are respected and preserved. Our Junior program, Grades 7 to 9, provides an environment where students develop an ethic of learning and discovery using methods such as inquiry, research and debate providing students with a firm foundation for their senior years. The three-year Senior High School program, Grades 10 to 12, is a rigorous, credit-based program that thoroughly prepares students for post-secondary education. Upon successful completion of this program, students earn the Ontario Secondary School Graduation Diploma. This Diploma is accepted and highly regarded by all the top universities in Canada, the United States and around the world. We live in a global community. To be a vital, active member of this community each student will need to develop skills to communicate effectively in a number of languages, to appreciate the uniqueness and diversity of all cultures and to be able to live and work collaboratively with others. Our goal is to ensure that our graduates are fully prepared, culturally aware, responsible citizens who have highly developed international understanding, superior communication skills and an excellent command of the English language.